Daniel Island area women learn self-defense! 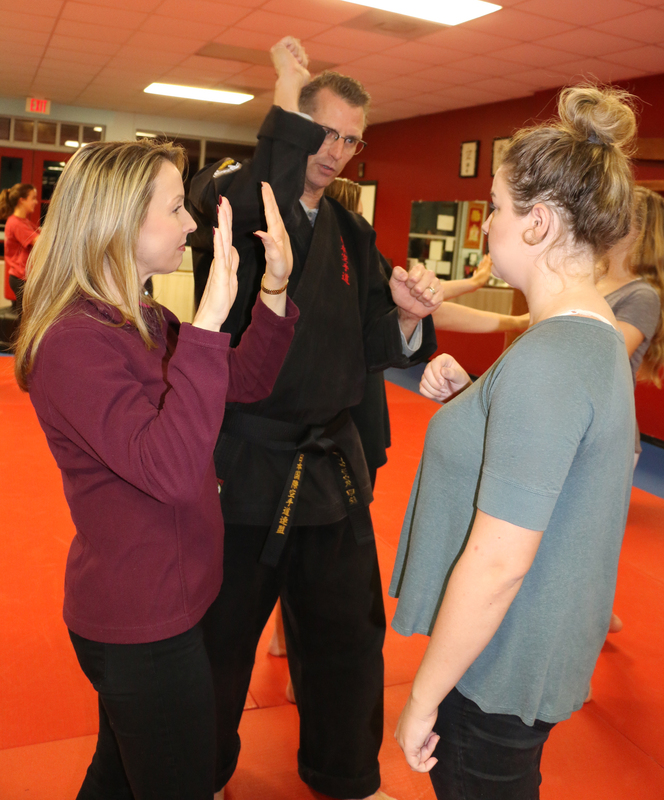 Seventeen local women attended a free women’s self-defense seminar last week at the Japan Karate Institute dojo on Daniel Island. The seminar was the first of four planned throughout the year in conjunction with Japan Karate Institute’s and The Daniel Island News’ 15-year anniversaries. Sensei Glenn (pictured far left) and two of his instructors led the women through various defense techniques, including sharp knuckles, pressure points, eye pokes, escapes and the use of household items. The best self-defense technique: awareness of your surroundings. Sensei Glenn demonstrates the most effective way to strike using sharp knuckles. A screw, held tightly in your hand with a paper towel, is an effective weapon. Sensei Glenn also taught the women how to use other household items, such as a toothpick, Raid, a magazine, a cell phone cord, and hand sanitizer as a way to stun and escape an attacker. Eliza Stanley and Finley Harris work on how to escape from a hair grab.